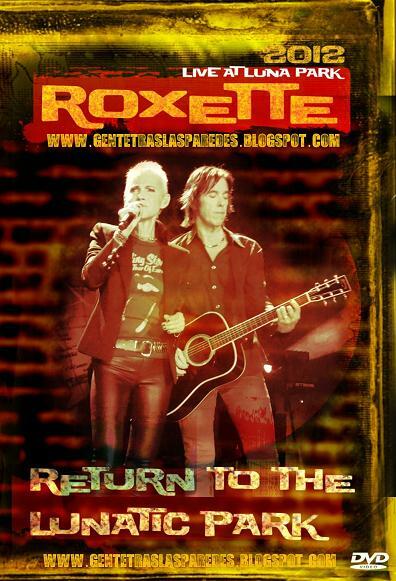 Argentinian Gente detras de las paredes website has released the very new and of decent quality video bootleg from the Roxette concert in Buenos Aires that took place on Tuesday, April 24, 2012. It was the first of five live Roxette show in Argentina – including cities of Mar del Plata, Neuquen, Rosario and Córdoba. Two moments during the Buenos Aires gig deserve a higlight – the very first performance of “It’s possible” during this tour and surprising local tune played by Christoffer Lundquist – “De Música Ligera”. More unforgettable moments only on this special fan-made DVD. Big thanks to Oscar Antonio Cordoba for making this bootleg available. Download links can be found here. There is, but a little hidden: click “Gente detras de las paredes”, the first link. At the end of the article you’ll see links to 5 files which can be downloaded and then unzipped into 1 big dvd-file. Good luck.